sorry Jann, it did not work. Looks like I need a new printer :(. Any suggestions? Well, it seems that the power supply or the mainboard is defective. Thanks Jann, but it did not work. Canon says the ink collector is full and cannot be fixed. What printer would you recommend instead? After spending 2 days here's what I learned AND FIXED IT! To HARD RESET THIS- unplug for about 10 seconds, press the STOP key and hold it and then power key and hold it. While holding both keys, release the STOP key 4 times, in other words so that the green light switches with the yellow 4 times and stays green, THEN RELEASE BOTH KEYS. wait about a minute or so while the printer does it's thing. WHEN YOU CAN'T GET IT TO TURN BACK ON- it's because the b200 code is set and you are locked out, so repeat the above steps to get it back on again. IN ORDER TO PURGE THE VB200 CODE- I had to download "SERVICE TOOL V3400". I had to search all around for this as canon makes sure you can't get it and buy a new printer! WELL SCREW THAT!! After finding one that kept hanging, I found a good link that works with windows 10. With that tool, I was able to reset the counter at the bottom of the page to "0". Now my b200 code is gone and the printer powers up and down each time as it did when new. And my print heads are squeeky clean (that solution obviously didn't work). WHOOPS, AND NO EDIT KEY...Press stop button 4x so green comes on 2x and stays green first before releasing both buttons when resetting. Ok, so your post says, do this thing, or mess with that thing, but apart from the printer carriage, I don't know what this thing or that thing are, and you have no diagrams or photos to show me what this thing or that thing are. This work wonderful for me aka MX727 !!! Do try this method.. before giving up..
Ok, wow, Rihann's solution worked (4c) first time! This was after I had unplugged, replugged, removed cartridges, etc. THANK YOU!! Solution 2: did not attempt. No comment. ATTEMPT #2: remove print cartridges, dry blot each of them. Remove ink tray. Dry blot it. Reconnected everything and again got the b200 error. OK, that got the printer to boot up successfully (ie no error). But remember, I tried this before and upon sending it a print job got the b200 error again. So, mow that I was at least successfully booted, I unleashed part 2 of my lazy man's fix: I went into setup and did a deep cleaning. Then I printed a test patter. Voilà! I then tried sending it a test job and it worked. Oh wow, THANK YOU! Lifesaver! Step 3 worked wonders for me after getting that B200 error code over and over. I am wondering if getting cartridges refilled instead of buying new might have caused this problem Error B203 as it occurred shortly after I got my cartridges refilled. I had always bought new before, but it is so expensive, I thought I would try refilling them instead by a reputable refiller. Has anyone else had problems after refilling cartridges instead of replacing them? locking the printhead in place. 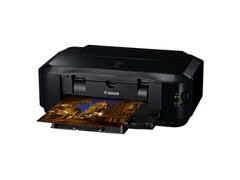 install the ink cartridges and try the printer. Mine still had the B200 error, BUT a week later after setting on a shelf not connected all is well. I guess it just needed to dry out. I have Pixma MX725 with B200 error. I got printer in maintenance mode, I start vs4300 tool, when I make a set there is no error message, only the 'wait symbol' turning inifinitifely, with no result.